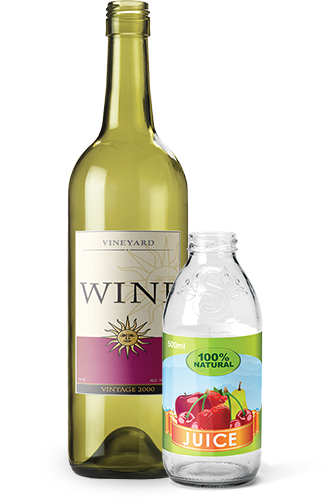 Beverage container deposits are based solely on the size of the container and not the material it is made from. 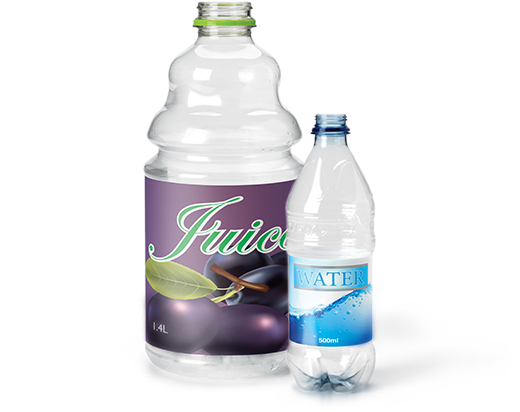 This means that there are two different deposit amounts: beverage containers designed to hold 1 litre or less equal a 10 cent deposit per container and beverage containers designed to hold over 1 litre equal a 25 cent deposit per container. Aluminum Cans are recycled back into new aluminum cans. 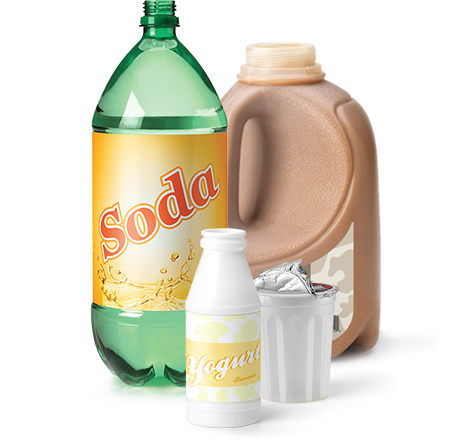 The process of recycling used aluminum containers and turning them into new consumable beverage containers takes less than 60 days. 95 – 99% of aluminum weight shipped is recycled, with the remainder being wire, strapping, moisture and contaminants. In Alberta, clear PET containers are recycled into flakes or pellets for use in manufacture of new food grade beverage containers. In other parts of the world, PET is recycled into textiles like clothing and carpet. Over 80% of PET weight shipped is recycled with less than 20% being labels, caps and contaminants. Other plastic containers, such as coloured PET or those made from High Density Polyethylene (HDPE) containers are recycled into pellets for use in manufacturer of new non-food plastic products. Over 80% by weight are recycled with less than 20% being contaminants. Glass containers are crushed and the glass is formed into tiny glass beads. In Alberta, the glass is spun into thin strings (like cotton candy) and used to make fiberglass insulation. In other parts of the world, glass is sometimes put into the mix for sandblasting material and added to street paint (clear glass only) to make it more reflective. 96.75% is recycled with 3.25% waste including caps, corks and dust. 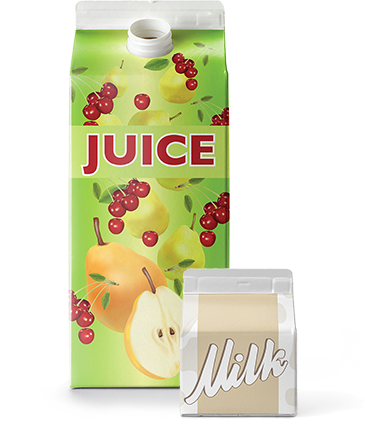 Tetra Brik containers (part of the Polycoat group) are made up of three material types: paper, aluminum and plastic. 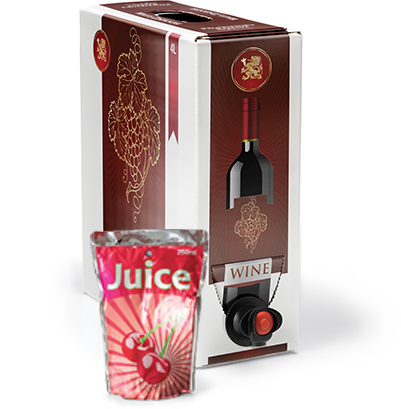 Each container goes through a hydro-pulping process that separates the three different material types. 80% of Tetra Brik is extracted into fibres or paper pulp and used in the manufacture of new paper products. The 20% residual aluminum and plastics are also recycled. Gable Top cartons (part of the Polycoat group) are made of two material types: paper and plastic. These containers go through a hydro-pulping process to separate the different material types. The resulting paper pulp is recycled into new paper products such as bath tissue, cardboard and writing paper. 80% of Gable Top container weight is recycled. The 20% residual plastics are also recycled. Bi-Metal beverage containers are smelted down for recycling into construction re-bar, car parts, and grinding rods for mining. 95% of bi-metal weight is recycled with 5% being labels, paint, moisture and contaminants. Material from drink pouches and Bag-In-A-Box bladders are used for energy recovery through gasification (incineration) due to scarce end markets. Boxes from Bag-In-A-Box style containers are fairly coarse, and can be recycled into tough paper objects like cardboard boxes.